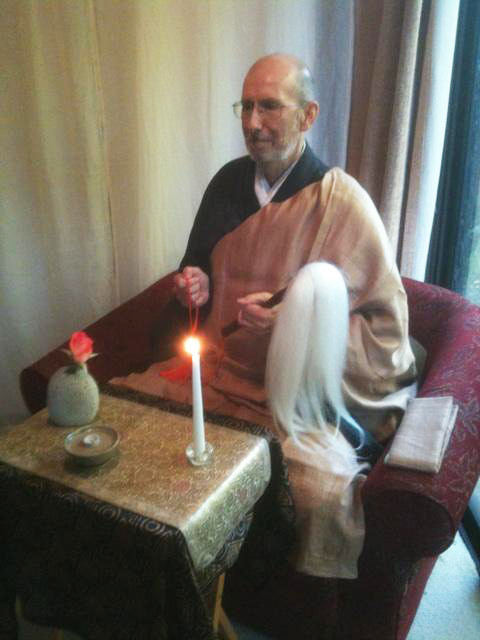 Another photo from the beginning of the dharma transmission process this week. Posted in Uncategorized on November 2, 2013 by Mary Stares. Words cannot express. Every Monday, Wednesday and Friday morning we dedicate our morning service to you, at Ensho-ji, (Complete Illumination) Mt. Diablo Zendo. Much love to you and to Lane. I know you're in good hands and spirit, so will not worry. Silvia and I just returned to your news from our beloved erosions in Southern Utah . 'Listened to your talk of a week ago. Sandstone and granite, and everyone who lives upon it, are certainly our bodies. Craig Childs wrote recently of realizing that he'd been scrambling through Canyonlands for so long that he no longer has prints on the tips of his fingers. Buddha's body. It sure would be be wonderful to leave some of her oil right where it is. and no extinction of them." "Firewood does not become ash. Firewood is firewood. Ash is ash"
Enough between these two arrows to allow us to sit for a long time. We, too, would not want to hear our children, and all our friends cry. Sorry to tell you, but we've been crying over your journey. Probably will cry some more. I just wanted to thank you for marching with us up Market street in the Pride parade each year. That meant more to me than words could ever express. I remember your solid presence, walking gently through the space. Last year when I dressed as the Buddha you taught me some mudras that I could do while walking. It was a very powerful experience. Thank you for that.